Serck Services Inc offers a full line of Unipart Heavy Duty air conditioning components. 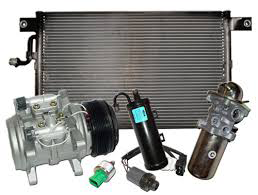 A wide range of AC Condensers is stocked along with Compressors, AC Hose Kits, Blowers, Clutches, Driers/Accumulators, Evaporators, Expansion Valves, and Switches available as ordered. Pulling products out of various warehouse facilities across the US allows Serck to service the increasing demand for next day delivery without the overnight costs.